10.3 Memories - BTC Section - Between two seas Progress on the BTC Pipeline Project by Mike Townshend, CEO, BTC Pipeline Co.
by Mike Townshend, CEO, BTC Pipeline Co.
For at least the past 10 years, people have been talking about constructing a direct link between the oil-rich Caspian Sea and the Mediterranean. Now this link is on the verge of becoming a reality. It's the first strategic and globally significant new oil project of the 21st century. The Baku-Tbilisi-Ceyhan (pronounced JEY-han) project-BTC for short-will break the mould in numerous ways. It will provide the newly revived oil province of the Caspian with direct access to world markets. It will mark the development of an energy corridor between Asia and Europe. It will establish Sangachal and Ceyhan as major terminal centres in the world energy industry. And it will ensure that crude oil from the Caspian can be transported outside the region safely, more economically and with less environmental risk than if it was moved by additional tankers through the crowded Bosphorus (Istanbul) Strait. Left: Ceremony at the Sangachal Terminal to launch the construction of the BTC pipeline. 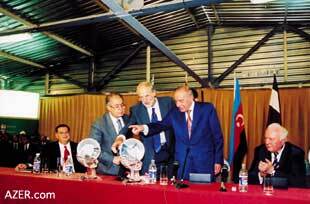 Attending were the presidents of the three countries through which the pipeline will cross: (l-r) U.S. Secretary of Energy Spencer Abraham, (standing) Turkish President Ahmad Nejdet Sezer, BP President David Woodward, Azerbaijani President Heydar Aliyev, and Georgian President Eduard Shevardnadze. For all three countries on the 1,760-kilometre route-Azerbaijan, Georgia and Turkey-the BTC pipeline also promises lasting material gains in the form of capital investment, jobs and skills training, a strong new revenue stream for government, opportunities for local businesses and community programmes designed to bring sustainable benefits to people who live close to the pipeline-our neighbours. Environmental considerations have played a central part in all our calculations and planning that has been undertaken to date, just as it will in the future. Earlier this summer, BTC Co. presented separate Environmental and Social Impact Assessments (ESIA) for public disclosure and discussion in each country. Following a 60-day comment period, the responses were gathered and then final versions of the assessments were presented to each host government. We now await approval to start construction. It has taken us two years of hard work and total dedication to get to this stage. The BTC project is a huge international undertaking involving many different skills and nationalities and innumerable technical and logistical challenges. Dozens of disciplines have been thrown together-engineers and environmentalists, seismologists and ornithologists, botanists, geologists and archaeologists-to name a few. Dialogue has been the key to everything. Hundreds of meetings with local and national groups were held during compilation of the impact assessments and many more lie ahead as the construction phase draws nearer. The main construction contracts have now been awarded, but much more remains to be done. Our contractors must mobilize their teams. Pipeline deliveries should start by the end of the year, and digging the trench for the pipe is set to begin in Spring 2003. By late-2004 the entire system should be in place, ready for testing. 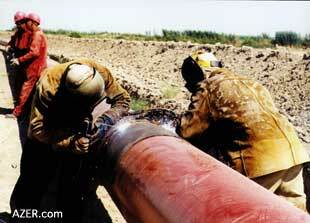 First oil exports are expected to flow through the line from Sangachal to Ceyhan early in 2005. The BTC project is a tremendous multinational challenge that depends for its success on the creation of a true partnership among all those involved. Our common goal is to turn a dream into a reality in such a way that the pipeline is built and operated safely and has minimal impact on the natural and human landscape. As the construction phase approaches, we are confident that together we can make the Baku-Tbilisi-Ceyhan pipeline a success for Azerbaijan, Georgia and Turkey. Pipelines are the safest, most secure method of transporting crude oil-particularly when buried underground as the Baku-Tbilisi-Ceyhan (BTC) pipeline will be along the entire route. Given the compelling strategic and environmental need to develop a new route to market crude oil from the Caspian Sea, BTC virtually selected itself. The Caspian Sea is rich in energy reserves, yet its landlocked status has long left it isolated from world markets. In recent years, the region's global significance has increased markedly as estimates of proven reserves of oil in the Caspian basin grew to between 17-33 billion barrels-comparable to reserves in the United States and perhaps double those in the North Sea. One cluster of discoveries in the Caspian-known as the Azeri, Chirag and Gunashli (ACG) field-alone has reserves estimated at more than five billion barrels, and it was the commitment to exploit this major resource that has necessitated the construction of additional export capacity. Current output from the Chirag field is exported via the Western Route Export Pipeline to Supsa in Georgia and the Northern Route Export Pipeline to Novorossiysk in Russia. The additional production likely to be generated by ACG meant that new ways of transporting Caspian oil to the rest of the world had to be investigated if the full potential of the field was to be developed. Above: Timeline for the various stages of construction of the Baku-Tbilisi-Ceyhan pipeline, scheduled to be completed in early 2005. Environmental considerations dominated examination of the various options prior to the decision to go ahead with the BTC project. A pipeline offered many advantages over other methods of transportation, but three stand out. It will not add to the shipping movements in the already overcrowded Bosphorus Straits. It involves the lowest environmental risk to the three host countries-Azerbaijan, Georgia and Turkey. And it promises long-term economic and social benefits to the three countries that it will cross. When complete, the BTC project will provide a route to international markets for one million barrels of oil a day and will turn the region into a major energy player. Tax and other revenues generated for governments along the route will make a large, and continuing, contribution to the prosperity of Azerbaijan, Georgia and Turkey. BTC Co.'s activities are managed by BP on behalf of an international group of investors which also comprises SOCAR (Azerbaijan), Unocal (USA), Statoil (Norway), TPAO (Turkey), Agip (Italy), TotalFinaElf (France), Itochu (Japan), INPEX (Japan) and Delta Hess (Saudi Arabia). The company, which was formed on 1st August in London, has adopted BP's global policies on safety, environmental care, employment practices and ethical business conduct. Left: The Baku-Tbilisi-Ceyhan pipeline will cross various climactic zones, including desolate desert and mountain regions, as it travels west from Baku to the Mediterranean port of Ceyhan, Turkey. One of the great engineering endeavours of the new millennium will be the laying of the BTC pipeline. The route crosses widely differing terrain reaching a height of more than 2,800 metres as it traverses the mountainous Caucasus region, passing through intensively farmed irrigated agricultural land, fording 1,500 rivers and skirting 450 communities. About two years of construction work will be involved, using a carefully selected group of contractors with international expertise in laying long-distance pipelines. A number of specialised engineering techniques will be used along the route, including dry open-cut crossing of rivers and streams where the water flow will be maintained using temporary pipes, and wet open-cut crossings where the river bed is excavated through the running water. Road and rail crossings will be achieved either by digging open trenches half the width at a time to permit continued traffic movement or by using auger or thrust bore techniques that do not touch the ground surface. Each crossing has been evaluated individually in order to keep disruption to communities and the environment to a minimum. Construction normally will take six to eight weeks as the project passes through an area, and measures will be taken to minimise noise, dust and traffic during this period. Typically, soil will be stripped and levelled along the route and a trench at least one metre deep will be dug. Sections of pipe, coated protectively to prevent corrosion, will be stored along the route before being delivered to the trench site. Then the pipe sections will be welded together, lowered into the trench and covered with excavated material. Average pipeline lay rates are estimated at 700 metres each day. Topsoil and subsoil are stored separately to ensure rapid and effective reinstatement of the ground. Finally the terrain is reseeded and replanted to restore it to its original form. Public consultation and disclosure is central to the BTC project. From the outset, a sustained effort has been made to ensure that all stakeholders-including governments, non-governmental organizations (NGOs), international scientists and experts, local communities and local interest groups-have been able to scrutinise the plans and exchange information, ideas and potential solutions. 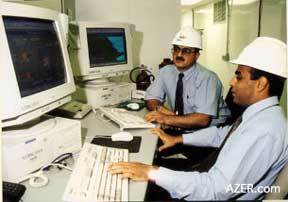 Left: Chirag production platform in the Caspian Sea. During this process almost 20,000 landowners and users whose land will be crossed during construction have negotiated with BTC Co. In Turkey, workshops and meetings have been attended by about 260 NGO representatives and 60 press organizations, while face-to-face interviews have been held with nearly 2,000 households along the route. Similarly exhaustive consultations have taken place in Azerbaijan and Georgia. A key objective has been to minimise in advance the impact of the project on daily life as far as possible and to offer fair compensation for damage or loss of income. A clearly defined method is now in place to resolve any disputes that may arise in the future. The consultations so far have highlighted a number of issues, including the impact of the project on the environment, land compensation, safety security and health, reinstatement of land and the possible impact of construction workers and construction camps on local residents. These issues have been addressed in the project route and design and its comprehensive management plans. Communication and consultation will continue throughout construction of the pipeline. Teams of locally recruited community relations staff will be on hand to share information with community leaders on a regular basis. Plans are also being drawn up for community liaison during the operational phase of the pipeline. One key principle guided the choice of route for the BTC project-that it is far better to avoid creating a social or environmental problem than it is to mitigate one that could have been averted. Throughout route selection, a number of factors dictated how decisions were made. Known sensitive areas or areas of high population density were avoided. So were known cultural monuments, archaeological sites and geohazards. The safety of both the construction and operation of the pipeline was a central issue, as was the need to minimize the risk of oil spills. In addition, the amount of land needed was reduced to a minimum-the working width for the BTC pipeline is 32 metres in Azerbaijan and Georgia, reducing to 28 metres in Turkey. The aim always is to make no more disturbance than is necessary for safe working. Left: Approximately 250 new positions will be created for Azerbaijani workers related to the operation of the BTC Pipeline. Below: Chirag production platform in the Caspian Sea. An initial selection involved detailed walking along the route by engineers, environmentalists, sociologists, archaeologists, botanists and zoologists, who produced a "preferred corridor" and subsequently a 100-metre-wide "specified corridor" which was then presented to the host governments. Later a number of alterations were made. For example, in Turkey a total of 179 archaeological sites have been revealed within a one-kilometre corridor along the route, most of which have been avoided. In Azerbaijan, where the BTC project mostly runs parallel to an existing pipeline, any significant deviations have been the result of environmental considerations. In all, some 200 route changes have been made since the start of the project. One result of this meticulous process is that not a single person will have to move from their home. And an important side benefit of all this painstaking work is the major contribution the project is making to the scientific understanding of the environment and cultural heritage along the BTC route. The distance from Baku to Ceyhan by pipeline is 1,760 kilometres-445 km in Azerbaijan, 245 km in Georgia and 1,070 km in Turkey. Along the way there will be eight pump stations, one pressure reduction station, four metering stations and 98 block valves. Sangachal terminal, on the shores of the Caspian Sea in Azerbaijan, marks the starting point of the route, while a marine terminal at Ceyhan, adjoining the Mediterranean Sea in Turkey, represents the end of the long journey. Sangachal, originally completed in 1997 and able to export both oil and gas, is now being expanded to handle increased oil production from the ACG field. This project will be completed in 2004 and involves installing extra storage tanks and equipment to meter and prepare crude oil for delivery into the pipeline. At Ceyhan, a new facility on a 135-hectare site is set to be operational in 2005. This includes a tank farm of seven oil storage tanks, a metering system and a housing compound. Also under construction is a 2.5 kilometre jetty with two berths. Here tankers of between 80,000 and 300,000 tonnes will be loaded with crude oil for delivery to refineries around the world. Between Baku and Ceyhan, key installations include the eight pumping stations-each designed to minimize intrusion into the landscape and all permanently manned. These stations will provide hydraulic power to boost oil flow through the pipeline as well as give access for regular cleaning and inspection. Valves designed to block the flow of oil will be positioned at approximately 20-kilometre intervals to enable sections of the pipeline to be isolated in an emergency. Several stations will include metering facilities to measure the flow of oil. It is these measurements which will give the statistical basis on which taxes and other payments are made by the BTC Co. to host governments. Before the first crude oil is introduced into the pipeline, the entire structure will be pressure tested thoroughly, using water to prove its strength and integrity. Overall control of the pipeline will be carried out from Sangachal. Everyone working on the project, including contractors, will receive professional skills training to ensure safe and reliable operation. Closed circuit television will operate at intermediate pump stations and other facilities backed up by an advanced security system. The route will be inspected regularly by BTC Co. staff, which includes patrols on horseback in remote areas. By tapping into the riches of the Caspian Sea, the $2.9 billion BTC project will create lasting economic and social benefits for the peoples of Azerbaijan, Georgia and Turkey. During the two-year construction phase, approximately 10,000 workers-skilled, semi-skilled and unskilled and many from communities along the route-will be employed, including 5,000 in Turkey, 2,500 in Georgia and 2,300 in Azerbaijan. Subsequently, about 850 permanent pipeline jobs will be created in the three countries for staff who will operate the pipeline and Sangachal and Ceyhan terminals. Local businesses can expect to benefit by supplying a wide range of goods and services to the project during and after the construction phase, while landowners and users affected by the pipeline will receive fair compensation for any loss or damage they may sustain. Once the project is operating, it will generate new revenues for each host country through tariffs related to the flow of oil. Beyond this, a range of community and environmental investment programmes will be set up by BTC Co. to help to deliver lasting benefits. The aim of these projects is to provide some immediate improvements to the quality of life in communities along the BTC route and also schemes which will provide sustainable economic opportunities for local populations. As part of the approval process for the BTC project, independent Environmental and Social Impact Assess-ments (ESIA) have been undertaken in the past two years in all three host countries. The goal has been to ensure that issues arising from the pipeline are identified and, where possible, eliminated or offset before construction begins. International consulting companies including Environmental Resources Management (ERM), URS Environment and RSK Environment, together with specialist Turkish, Georgian and Azerbaijan partners, undertook this huge task. In each country, this began with an information-gathering exercise designed to gain broad understanding of the project and the social and environmental conditions along the likely route. During this process, meetings were held with a wide range of informed national and international opinion-formers together with local communities on the pipeline route. Over time, these meetings became more and more interactive, involving exchanges of information and ideas. Subsequently, several in-depth environmental and social surveys were undertaken. Throughout this process, four objectives were kept firmly in focus-the need to minimize the BTC "footprint" and do no lasting damage to the environment; the obligation to create no new access routes; the commitment by BTC Co. to restore all natural habitat; and the requirement that no people be resettled and no permanent disruption be done to the livelihoods of local populations. In the summer of 2002 the three ESIAs were published, identifying many measures that will be implemented to lessen the environmental and social impact of the pipeline. Sixty days were then allowed for public reaction before the final reports were submitted to the three governments in October. Consultation will continue throughout the life of the BTC pipeline. But the bottom line as the project begins is best summed up by a statement in the Georgian ESIA: "There are a few residual concerns relating to the construction of the pipeline which need to be carefully managed(But) it is generally anticipated that both the construction and operation of the BTC pipeline will bring a series of short and long term benefits to the communities." One of the greatest challenges facing the BTC project is protecting the fragile natural environment in the region. Along its lengthy route, the pipeline passes through many areas of great biodiversity that are rich in both plant and animal life-everything from forests, wetlands and alpine meadows to endangered species such as wild orchids, vipers, brown bears and white-headed ducks. 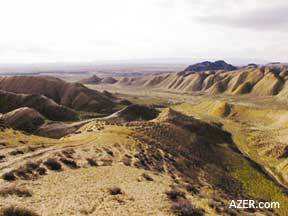 In Azerbaijan, protection of the deserts in the proposed Gobustan National Park is a priority. In Georgia, Caucasian black grouse on Mt. Taukvetili and wetlands at Narianis Veli and Ktsia are high on the list. In Turkey, more than 500 endemic species have been identified within a 500-metre corridor of the pipeline route, which will also cross two nationally-protected sites and skirt about 50 ecologically sensitive areas. Given what is at stake, huge efforts have been made to reduce the environmental impact of the project. A number of sensitive areas have been avoided by detailed changes to the pipeline route. One of the most important involves the Alacorak and Ulas Lakes in Turkey-a complex of five lakes of international renown. 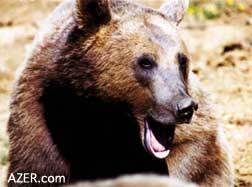 In a number of locations the timing and duration of construction has been altered to fit in with fish and bird breeding, bird migration patterns and the hibernation periods of the Eurasian Brown Bear. Some disturbance of habitats and species is unavoidable. And it has not always proved possible to avoid routes through protected areas; in Turkey, for example, the pipeline will go through the Posof wildlife area and the Sarikamis Forest. Once construction is complete, however, a reinstatement process will begin which will include species transplantation, where necessary, and surveys to monitor the long-term progress of reinstated areas. More information on the BTC pipeline project, including full Environmental and Social Impact Assessments for the three countries crossed by the pipeline route, can be found on this web site: www.caspiandevelopmentandexport.com. 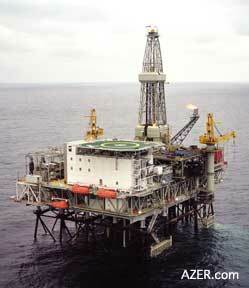 In Azerbaijan: c/o BP Exploration, 2 Neftchilar Prospect (Bayil), Villa Petrolea, Baku 370003. Tel: (994-12) 97-92-26.